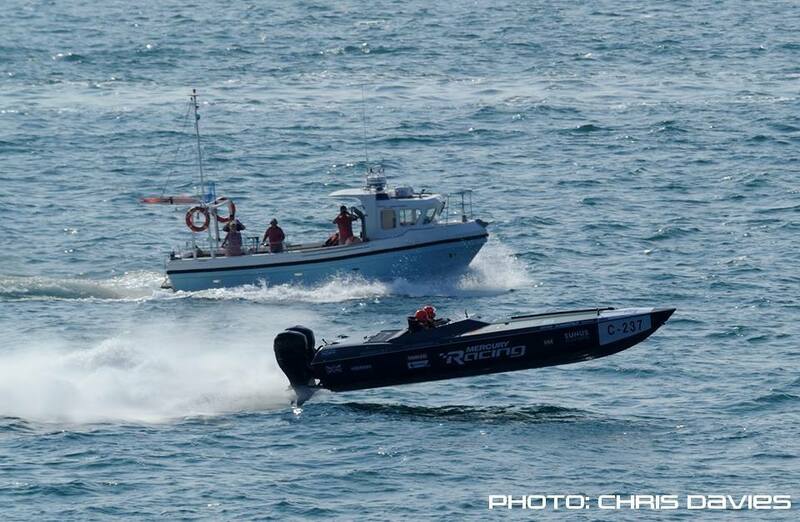 Miles Dobson and James Sheppard won the 2017 Cowes Torquay Cowes with an average speed of 84.03 mph. The winner to Torquay, A69 – Cougar driven by Richard Carr and Steve Curtis broke a power steering belt on the race back a to Cowes. Mechanical troubles also befell Hendricks 55 driven by 2 time winner of the race Markus Hendricks. Silverline also snapped a power steering belt on one engine on the run to Torquay, hasty repairs were carried out in the West Country which proved to be fruitful – Drew Langdon and Miles Jennings led from start to finish in their Outerlimits hull on the race back to Cowes. 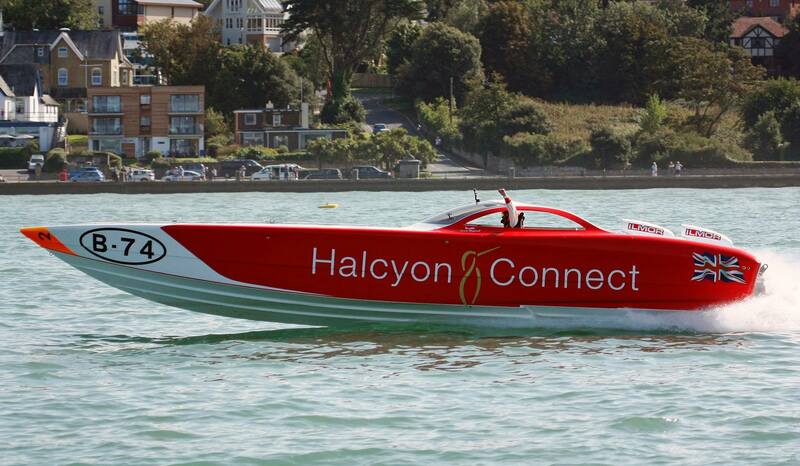 However, it was Dobson and Sheppard in Halcyon Connect that won the race overall with an elapsed time of 2 hours 35 minutes and 58 seconds in their Ilmor powered Dragon hull. Sunus Ocean Racing, Tom Montgomery-Swan and Michal Galczewski took a notable second overall and were the first outboard powered hull home. In the third, the first overseas entry over the line was Hibernia from Southern Ireland, (John Ryan, Phillip Fitzgibbon, Denis Dillon and Glenn Chidzoy) with an average speed of 75.09 mph. Veteran racers and brothers Adam and Scott Younger won the 2017 Cowes Poole Cowes race at an average speed of 73.12 mph. Their closest rival, T/T Gee driven by Ali Langdon and Lucci Levi finished 2 minutes behind them. 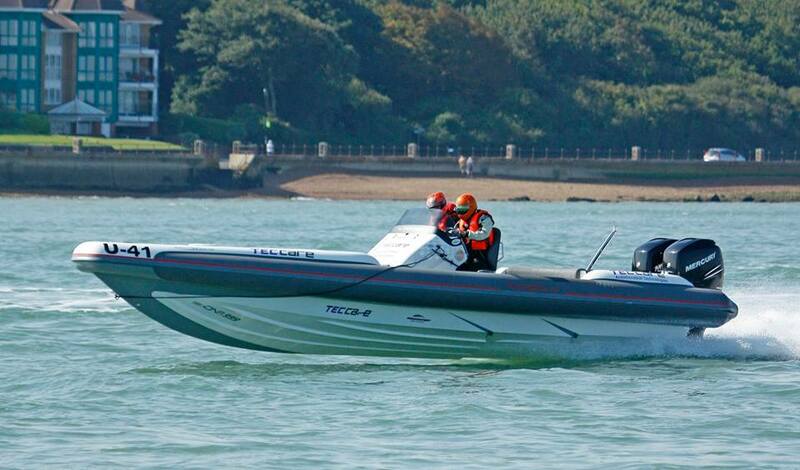 The next 4 boats over the line were all given 15 minute time penalties for incorrectly rounding Hengisbury Head buoy.